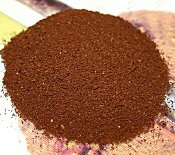 From South American, the Caribbean, Africa or Far East coffee is a popular beverage. Other coffee recipes include coffee rum walnut ice cream with 3 of my favorite things as ingredients! Ideal for a parties and special celebrations. Use your coffee ice cream as part of a delicious ice cream sundae! Method: Take the finely ground coffee and pour the water onto it then let it stand for about 10 mins. Coffee ice cream is very popular. It's not that surprising really because there are many coffee drinkers and many ice cream lovers. So bring together the two things there's instant appeal. Coffee ice cream is enjoyed by people all over the world - I filmed the video at the top of the page at a small 'backwater' ice cream parlor in France. It was one of the biggest, creamiest sundaes I've ever seen. In France it's called a 'Cafe Liegeois' which sounds incredibly stylish and almost romantic! If you love sundaes why not join the Google+ Sundae Community. Share in the passion with your photos and comments, suggestions and questions .... it's great fun.